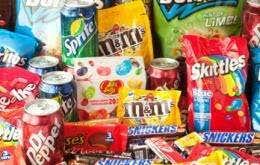 So it looks as if junk food adverts could be banned on TV and online before 9pm under plans by the UK Government to try to reduce childhood obesity. Proposals for a new TV 'watershed' have been put out to public consultation by the Health and Social Care Department in Whitehall. It's all to do with the growing obesity among young people with a third of British kids now leaving primary school either overweight or obese. Furthermore, the number of children now classed as seriously obese is at a record high. The advertising ban, if approved, has been welcomed by doctors and politicians and even TV chef Jamie Oliver, a longtime advocate of healthy eating has shown his support. He is quoted in the UK press as saying that if we don't find better ways to improve our kids health, they will live shorter lives than their parents. He goes on to say that kids are heavily influenced by junk food ads and the media and food industry has a chance now to do something about it. Any regulations that are introduced would affect adverts for foods high in salt and sugar, with the proposal for a pre-9pm ban on TV programmes, online streaming sites and social media companies. Adverts for junk food during children's TV were banned in 2007, however our kids spend just over 60% of their TV time viewing shows not aimed at them. That is according to the broadcasting regulator, Ofcom. I welcome this radical move by the Government, but the legislation will take some time to be bought forward as a result of the excessive time being spent on Brexit wrangling. And in the meantime, irresponsible food manufacturers like Nestle, are promoting a TV Cadbury Creme Egg Competition, with prizes of up to £10,000, that encourages obesity. 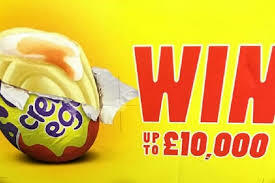 Each creme egg contains over six teaspoons of sugar, more than the recommended daily limit for children.